This morning, I participated in the Run for the Water 10 miler. 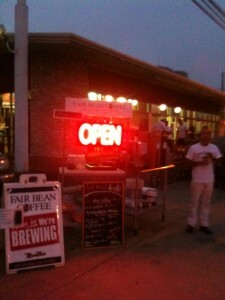 I’m a fan of any race that has copious amounts of coffee available before I even get to the start line. 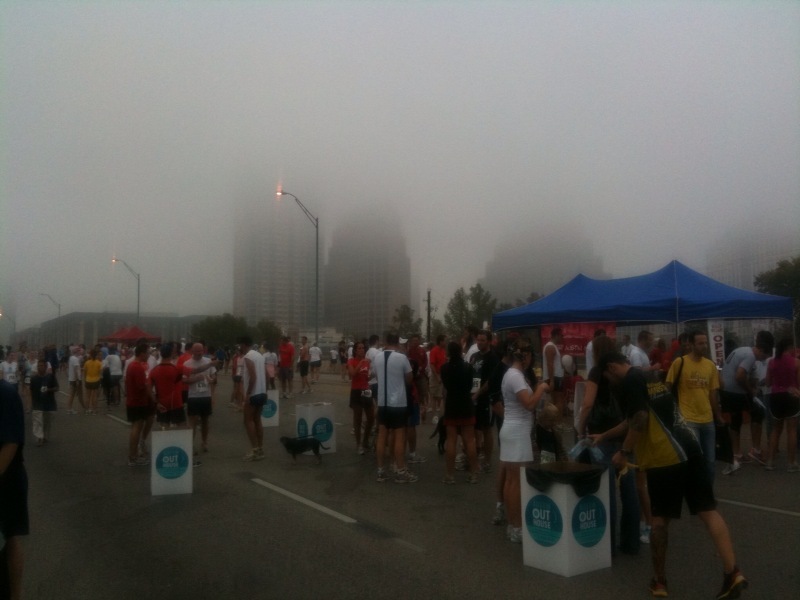 It was a bit foggy this morning, but it didn’t discourage the Austin running community from coming out and cramming into position at the start line. As a bonus to the American national anthem… we were presented with a rendition of the Burundi national anthem which was a nice touch. 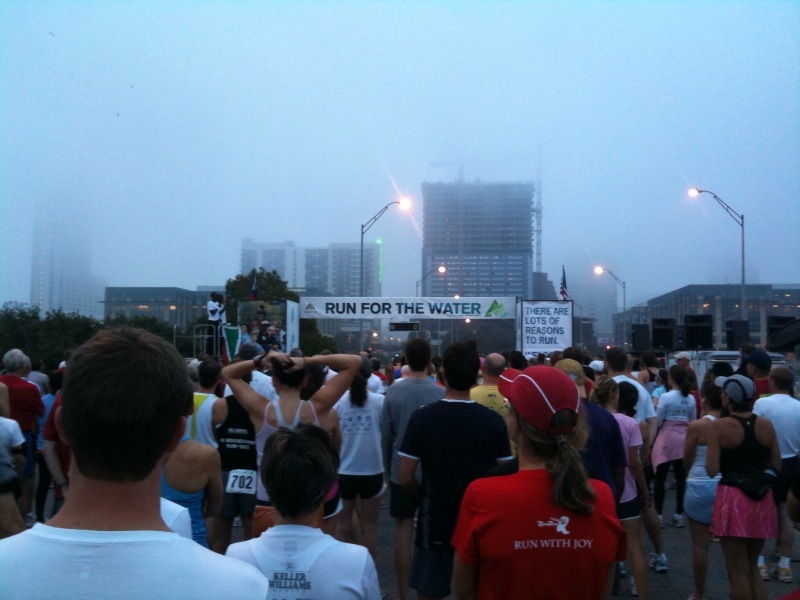 I struggled up the hills and managed to finish in 1:09:47 which put me 10th in my age group. I’m not completely happy with my finish, I expected to at least run sub 7 miles, but hey, practice makes perfect. 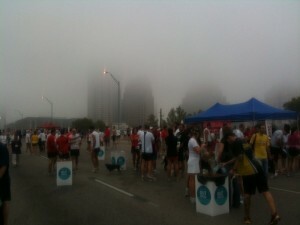 The course was difficult for your usual Austin race and I commend the organizers for making it challenging. You know, given that we were running down Pecos St and Scenic Dr, the organizers might as well offered an extension that went up Mount Bonnell given the amount of hills we ran. On the whole, it was a great and challenging race. It also proved to me that I need to start doing more hill work. Next up is the very flat Rock n’ Roll San Antonio race.